It’s no secret that ‘09ers are proud of their cars—sporty imports, domestic SUVs, beefy pickups, cutesy compacts and, of course, those plush luxury offerings that are guaranteed to garner a second look. And nowhere is that pride more evident than in that seemingly Heights-wide desire to have one’s “ride” (be it a Kia or a Cadillac) always looking its best, inside and out. Yep, residents of this ZIP insist on always having a clean machine! 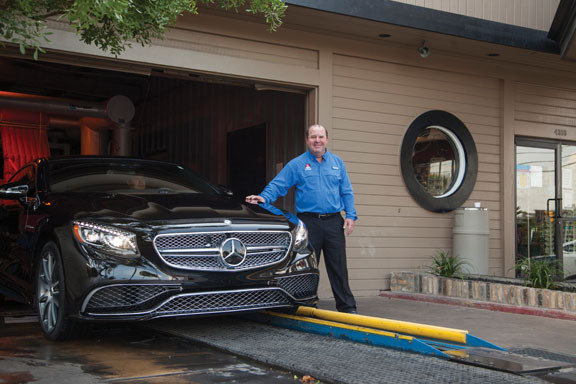 Responding to that innate need, for 30 sudsy years Matt Vizza’s The Wash Tub company has been tenderly tending to countless automotive exteriors and interiors when the need arises for a little more TLC. Currently averaging an impressive 1.7 million client cars annually through its 23 area-wide locations, The Wash Tub truly represents a shining example of a bubbling business that (in terms of both profits and customer satisfaction) has been “cleaning up” across 78209 and beyond since its inception in 1986. Shine on! The company came into being three decades ago when Matt, a former accountant employed by a national firm, decided he wanted to “get out of the cubicle” and start his own business. His father, the respected and now late San Antonio native Al Vizza, had been successfully selling commercial vehicle-washing equipment to large corporations across the United States. 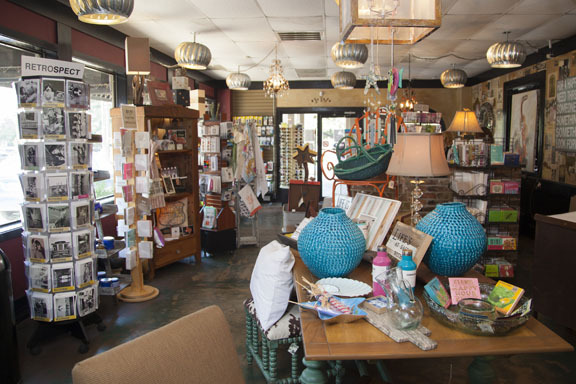 With Al’s industry savvy and his son’s vision of starting something of their own, The Wash Tub was founded at its first location on Blanco Road. As Matt remembers, “Those early days were a learning experience. We knew how to get cars clean, but our main focus was on improving service—making things faster, better, more convenient and comfortable for the customer. And the funny thing is, it still is!” Establishing procedures, training personnel, price structuring, marketing—it was all new to the entrepreneurial Vizzas. But with Al’s mechanical know-how coupled with Matt’s financial savvy, success came and with it, more business and the need for additional locations. Alamo Heights got its first location on Broadway near Hildebrand in 1989 when the Vizzas took over an existing car wash company. Totally revamping the existing business, the Vizzas’ Wash Tub quickly became 78209’s “go to” place for an automotive bath. A second area location soon followed on Austin Highway across from Terrell Plaza. Additional outlets can now be found across the Alamo City as well as in Schertz, New Braunfels, Georgetown, San Marcos and Round Rock. At any Wash Tub, the excellent services offered are essentially the same—once a vehicle enters the property, the driver briefly meets with a welcoming, courteous and experienced technician to assess specific needs and desires. Then, while the customer retires to a comfy waiting area, a cadre of eager and energetic employees, as Matt explained, “immediately get down to business” with the preliminary prep work. They tackle by hand the smashed bugs on the vehicle’s front, remove dirt from body seams on all sides, scrub windshields and windows and vacuum the interior. Once that prep work is finished, the car is ready for the major exterior cleaning that takes place in a high-tech-laden “tunnel,” where each vehicle is meticulously measured by a computer before being sprayed, soaped, lathered and gently brushed. That’s all followed by a drying stream of warm air. The computer makes equipment adjustments for length, width and vehicular height to guarantee that all surfaces are correctly, comprehensively and safely treated. Matt admits, “It’s a lot different from the crude washing operations of the past—and a lot more effective and safe for the finish.” Once the car exits the tunnel, however, all final exterior and interior work is completed in an “old school” manner—by hand, or rather, lots of hands! The entire car is then manually wiped and dried. And depending on the level of service requested, the car is then waxed, given interior leather and vinyl treatments and detailed. The entire process closes when the smiling customer takes back the keys and happily (and cleanly) drives away. So when the family sedan has gotten a little funky and someone has written “wash me” across the dust on the rear window, it’s definitely time for a trip to the neighborhood Wash Tub, because ‘09ers insist on having that clean machine.